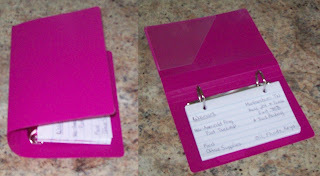 TIP from book: Keep a notebook or small-three ring binder specifically for places you can stop on your routes for foods. 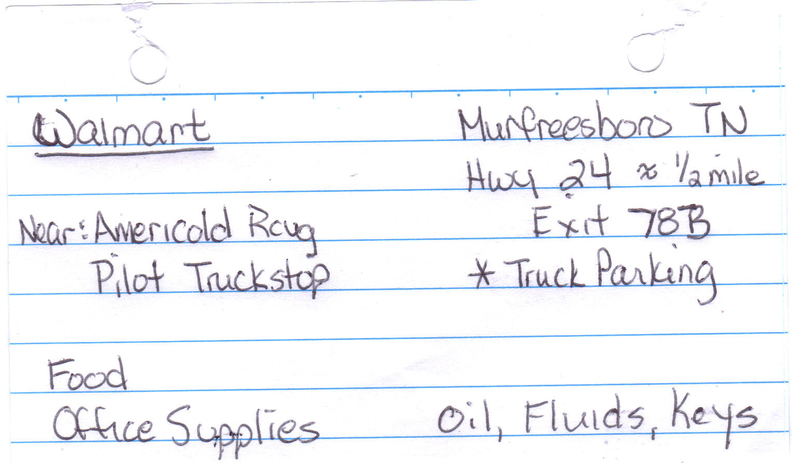 Write down such information as highway numbers and exit numbers, off-road directions, and what shippers and receivers are nearby that you go to. 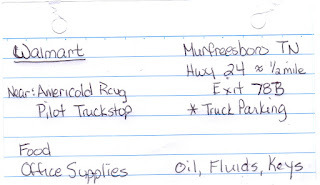 Write down what you would typically buy there, and do they have truck parking? You can reference page numbers from your exit guide or map book. If you use a three-ring binder (loose leaf pages or index cards, get a single hole punch to punch holes), you can reorder the pages for quick reference. This way you can quickly know what you can get where, without having to remember. This is also a good way to keep routes and directions for places you pick up from and deliver to. 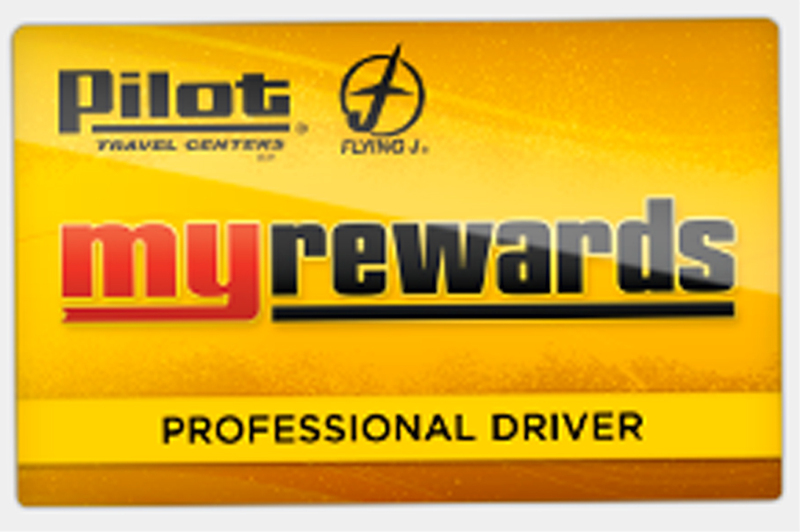 Whenever you fuel at one of these places, you get points. The points can be used for all kinds of things. My hubby gets his coffee and such on these points. This is an actual Wal-Mart Supercenter location. Normally I use cloth sacks for groceries, but sometimes we forget and end up with a bunch of plastic bags. This is nice for those plastic grocery sacks they put your food in, so they aren't all spread out. My hubby uses them for trash can liners in the truck. This is a tube of fabric with elastic on both ends to hold the bags in. We have one at home and one in the truck.